Locavore leaders such as Alice Waters, Michael Pollan, and Barbara Kingsolver all speak of the need for sweeping changes in how we get our food. A longtime leader of this movement is Wes Jackson, who for decades has taken it upon himself to speak for the land, to speak for the soil itself. 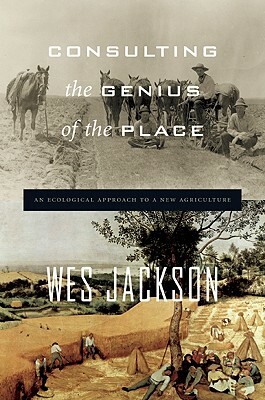 Here, he offers a manifesto toward a conceptual revolution: Jackson asks us to look to natural ecosystems—or, if one prefers, nature in general—as the measure against which we judge all of our agricultural practices. Jackson believes the time is right to do away with annual monoculture grains, which are vulnerable to national security threats and are partly responsible for the explosion in our healthcare costs. Soil erosion and the poisons polluting our water and air—all associated with agriculture from its beginnings—foretell a population with its natural fertility greatly destroyed.